Wikileaks, an organization which aims to bring the secretive news in front of the world has launched it’s own social network named as Friends of Wikileaks (FoWL). Although it is also known as WLFriends. FoWL’s aim is to connect people (who believe in Wikileaks’ ideas & objectives) living across the globe. The name of the social network Friends of Wikileaks is a derivative of this aim. It’s currently in the beta stage and is opened up only for registrations. Wikileaks says that there is no age limit for joining FoWL and anyone can be a member of this new social network. Friends of Wikileaks clearly states that it’s objective is to collect as many users as possible in this beta stage. Once it reaches the desired target user base, the main social networking features will be live. FoWL is not part of the day to day operations of WikiLeaks; it is not involved in the submission process, and never handles sensitive information. FoWL is not a subsidiary of WikiLeaks, nor is it subordinate to WikiLeaks. FoWL is a separate network, that has the express purpose of supporting, promoting, publicising and encouraging any individual or collective which shares WikiLeaks’ common values and goals. 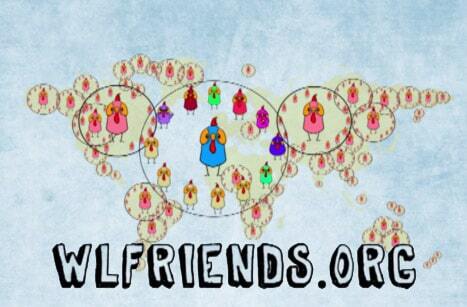 FoWL / WLFriends better than Facebook ? To promote FoWL, Wikileaks used it’s twitter handle and listed out 12 reasons why it would be better than Facebook. I’m listing only the first 5 reasons below. WL Friends introduces you to people you want to know, but don’t know yet. Facebook connects you to people you already know – no point. Facebook is a mass surveillance tool. You put your friends into it, you betray your friends. Do friends betray friends? WLFriends doesn’t know your friends. It introduces you to new friends. Facebook records everything you do, hands it over to the US government and corporations. WLFriends doesn’t. WLFriends keeps your data so encrypted, not even the system amins can decrypt it. You and your friends decrypt on login automatically. WLFriends uses military grade cryptography and the best industry standards (OpenPGP + Elliptic Curves). So are you ready to join and be active on a new social network ? WikiLeaks is doing a great job. FoWL I guess will be more of a social networking platform for social workers (agents of change). Thanks for sharing info about this upcoming, promising network. I think it would be a little scary to join the network because you can be sure that the secret police of many countries will be monitoring activities there. On the other hand, it would be good for people to help each other sprread information that has been ‘covered up’. No doubt in that security is the big issue in today’s web activities beside that this is nice info where anything can give you better response than FB. FoWL looks like a great idea, and it sounds more interesting to use if it is totally different from Facebook. awesome! , just awesome! this will make the world more open seriously. I think its a great approach from Wikileaks. FoWL social media looks a better social media than Facebook however security is really the main issue we have to think about. you bring some new information for me regarding this new social media. It seems another social networking site that many fanatic will love it. thanks for the share.